The Ekaterina Cultural Foundation presents a project On Sharks & Humanity, a contemporary art exhibition that will open in Moscow on May 29, 2015. On Sharks & Humanity was created by Parkview Arts Action in collaboration with its international museum and art galleries and the international non-profit organization WildAid. 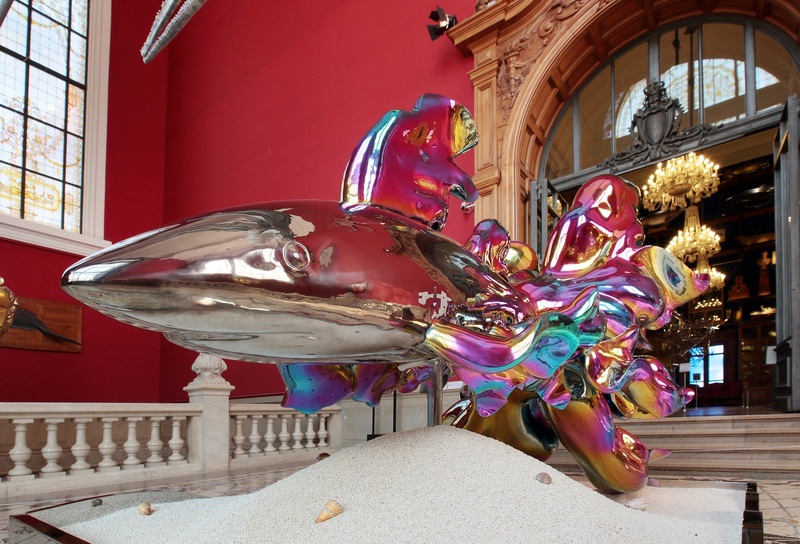 It was previously exhibited at the Oceanographic Museum of Monaco from June 2014 to March 2015 and attracted about 500,000 visitors in nine months. After the second international showing in Moscow, the exhibition will come back to the National Museum of China in Beijing. On Sharks & Humanity will bring together works by twenty contemporary artists from China, Russia, Monaco and the USA. Through interdisciplinary art genres, including installation, painting, sculpture, video, photography, poetry and documentary films, they will collectively explore our charged relationship with this unique creature. The exhibition challenges prevailing prejudices surrounding the sharks and displays the importance of shark conservation and their crucial role in the marine eco system. It also aims to raise awareness of the negative impact the unsustainable fishing has on the environment. Juan Du, the curator of the exhibition, defines the concept of the project as the idea that art can change the society. In this case, it is about opportunities of art to promote general for humankind task – preservation of shark’s population. The exhibition brightly displays the relations between sharks and people, using different art means.